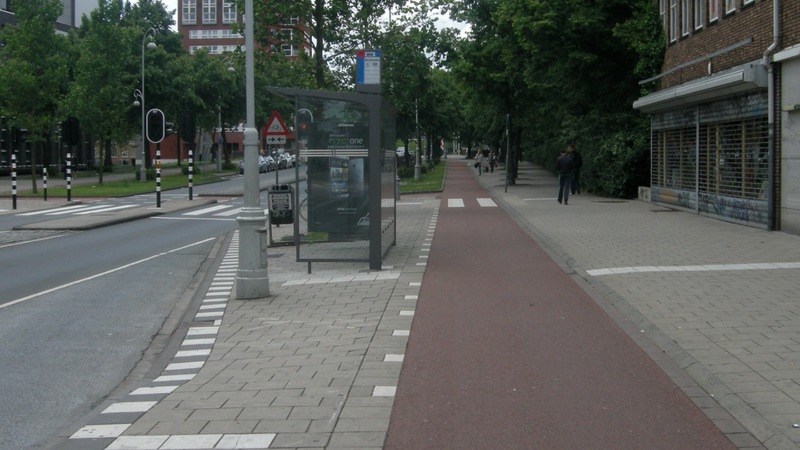 The ‘Mini-Holland’ projects are probably nothing new to many of us London cyclists. Going Dutch is supposed to fix all of our cycling woes and the place where the revolution begins is London. What is very interesting is the variation in the interpretations of what ‘Holland-izing’ London would look like. Each borough (Enfield, Kingston and Waltham Forest) is taking a very different approach to the idea of creating a ‘mini-Holland’. These differences seem to reflect differences within the wider general public about how to approach basic aims such as getting people more active, reducing traffic and reducing air pollution. The plans do show that the general feeling is that a primary achievement in countries such has Holland has been to reject the automatic assumption that roads are for cars first and foremost. In cities it is often quicker to complete a journey on foot or by bike. This is as true of travel within neighborhoods in the outer boroughs of London as it is in the city proper. Popping down to the shops for a few things can be accomplished by foot, but might be quicker by bike. However, this will only be true if you can easily access your bike and know you can lock it up outside the shop. Neighborhoods are where children learn to ride bikes and can fall in love with riding. Providing proper infrastructure will enable this and hopefully make it seem like a bike is an obvious form of transport. This is something I had growing up and I am infinitely grateful for it. There is currently one consultancy open in the Enfield project, with 4 more opening in the coming months. They seem to be the borough that is doing most to introduce more people to get people on bikes and making resources available to get people into cycling. They have some cycle routes in place previously and are intending to build on these, particularly around the Lee Valley paths. Enfield seem to be putting particular focus on the resources available to people in the borough, such as one-to-one training, long term, cheap, bike hire and classes. They are partly focusing on efforts to encourage more people to become confident cyclists, whether for leisure or commuting. This seems to be the least developed of the schemes. The big news from them seems to be 1300m of ‘innovative’ cycle lane to be put in at a cost of £3 million. They have some plans online and have undertaken some consultancy. It is also proposing a short floating cycles-only board walk along the river, which will be nice for families if nothing else. The main focus of this scheme however seems to be to connect residential areas to the center for train connections. The impetuous is to get people to be able to access the center of Kingston. However there is nothing about bike rack provisioning. The works in Waltham Forest are fairly well developed already, with a trial area just completed in Walthamstow village which officially opened this week and has already won awards. Their plans aim to improve infrastructure for both cycling and walking, with a focus on generally getting people out of cars and public transport. There are plans for cycle storage in residential and commercial areas. There are also plans to improve cycle lanes along some of the main commuter routes into and out of the borough, such as Lea Bridge Road. There is ongoing consultancy for major proposals, and they seem to have gathered quite a lot of data about how people use the roads in the borough. I assume that part of the point of these projects is to show what can and should be done to increase bike usage. By allowing boroughs to make their own plans based on consultation it should mean better infrastructure that works on the roads in question. The real benefit to people who live in other boroughs is if these projects are successful, they will provide templates for what can be done. A big problem with some of the efforts in London thus far has been planning and applicability to the roads. It is all well and good to say we need to be like Holland, but what does that look like in London? Hopefully these three boroughs will start giving actual indications of what can and should be done. Or shouldn’t. We shall see. Pace of development of course is a problem. We want people on bikes, now, now, now, but changing roads takes time. Work is projected to be complete on all projects sometime in 2017. If we are taking a wait and see approach to these plans, then its looking like another 5 or so years before things are in place in other boroughs, money issues aside. Of course, not everyone is happy about changes to roads, as was seen at the Walthamstow launch on Monday, with anti-cycles demonstrators protesting road closures for cars. There are always two sides to things and obviously we are on the side of safe encouraging cycling spaces. Quibbles aside, these ‘Mini-Holland’ projects are good. It is easy to sit back and nit-pick, but sometimes you just have to get stuck in and at least try something. Hopefully they will work out. At London Cyclist we shall revisit these projects when they are further along. Should you be one of the lucky ones residing in these boroughs and want to get more involved, campaign info can be found on each boroughs LCC site: Enfield, Kingston and Waltham Forest. If you do live in one of these boroughs, let us know what you think. Will these changes help you? Are they doing the right things? What would you like to see improved in your local area? Nope. The trial was in November. The final scheme, in place, opened this week. The first main road segregated and semi-segregated scheme on Ruckholt Road also opened recently. 2. “With a focus on generally getting people out of cars and public transport”. Not really. We want to get people out of cars and onto bikes, walking and public transport. 3. “Anti-cycles demonstrators protesting road closures for cars”. A small bunch of determined anti-mini-Holland locals protested. They’re a mixed bag. Some are local businesses protesting for rather odd reasons (the architect who is incredibly anti-MH has a planning application in to turn his premises into a pavement cafe – which will do really well of MH’s closures/calmer street). Some are raising some legitimate concerns (emergency access, disabled and elderly residents etc.) that are raising them in a very counterproductive way, and some are just incredibly angry types. The same issue will likely face the other mini-Holland boroughs also – and not just over closures. Green Lanes in Enfield is becoming an anti issue – over parking outside shops. The key thing is to try and separate reasonable concerns over schemes from angry mob aggression. I live very close to Orford Rd and really welcome the fact that it’s now much easier to cycle around the surrounding area on the last leg of my commute from central London via Lea Bridge Road, beforehand I used to avoid it as the narrow residential streets were always used as rat-runs by car drivers. I took part in the Lea Bridge Road consultation and I really hope there are some major changes to that road that reflect the number of cyclists that have no choice but use it daily on their commute to work, my partner was knocked off her bike twice on that road but is still unwilling to commute into London through the Walthamstow Marshes because of all the reports of crime around there. I’m just concerned that the emphasis is on prettifying areas rather than proper dutch style cycling infrastructure, for example works just completed on Selborne Road look nice with trees now lining the road and a wider brick pedestrian pathway but there is still no separate carriageway for cyclists, in fact it feels more hazardous cycling there now because of the narrower road. Sadly I agree any calm and reasoned opposition to this scheme appears to be a overshadowed by a bunch of reactionary cranks, judging by the procession carrying a coffin on Monday. a) Really glad it’s working for you. b) One of the big myths that seems to have grown up around the Waltham Forest mini-Holland is that it’s all residential streets or it’s all the village. It is neither. As you say yourself, Lea Bridge Road consultation shows that the main road stuff is coming. My best guess it’s been far tougher to get that stuff past TfL – so it’s taken longer to go through modelling, TfL Buses, TfL Signals etc. Next up Forest Road, Hoe Street, Church Road, Markhouse Road. And go look at Ruckholt Road – that scheme is in. c) There are several schemes that have arrived piecemeal prior to mini-Holland. The very short section of track on Hoe Street, the one lane Blackhorse Road scheme and Selbourne Road. That “brick pedestrian pathway” is actually a cycle track. It’s just waiting for the designs around the bus station and up to Hoe Street and the designs under the bridge and around onto South Grove to be sorted. Until those are sorted, it’s a bit marooned. > It is all well and good to say we need to be like Holland, but what does that look like in London? It’s not like it’s the first city in the world that wants (?) to make more room to bicycles. Just hire some Dutch and Dane experts, and dramatic changes will be seen within a few years. This is the A105 (green lanes etc) cycle consultation, If you live in Enfield or use Green Lanes then please respond to the consultation. It looks like foaming at the mouth cyclist hating drivers might derail the scheme in Enfield. Ps, The Enfield plans look pretty good to me, overall well designed, not perfect (some small bits of partial door zone path) but a lot better than the rubbish that usually gets pass off as helping cyclists. Wouldn’t it be better and safer for all concerned, if all these initiatives were consistent in their approach, rather than different in each borough? We need a London wide, UK-wide approach to road planning and design, common standards, signage, etc, instead of a situation where it’s different at every junction, as we have now! Count yourselves lucky that anything is being done at all. In Bath, very little has been done outside the town centre- where the tourists go- and the council are now trying to impose a 1970s-style park and ride on the flood plain on the east side. I walked around the new scheme in Clapham Old Town over the weekend to listen to @um_streets talk about this TfL funded project. Huge pavements, a place for buses to park, seats, saplings and some icons of bikes painted on the road. Am I missing something here or was Andrew Gilligan on holiday when this happened? I find it odd that these schemes do seem to start in London, as it is arguably the least suitable city for hosting mini-holland schemes. London is not comparable to a single city in Holland, neither in size, road space, population or how busy it is. There is a big difference in commute length for cyclists in Holland vs those in London & so the type of cyclists varies greatly too – people aren’t pottering 4/5km to work, they’re trying to do anything up to 15, or 20 miles even, in an hour through London traffic – and no matter how much unnecessary traffic is removed, there is still a tonnes of commercial traffic that can’t ever be removed and needs to be accommodated. Surely it would be best to try and apply the “mini-hollands” to the smaller cities/towns (which also need improving in a big way) in the UK and try and come up with a solution applicable to a City like London as a whole, rather than a mish-mash of ideas that don’t work as well as they do in their home country and hope that all the different boroughs plans might make some sort of joined up system. Take, for example, the recent farce that was branded as the first dutch-style roundabout in London, the project in Wandsworth near Chelsea bridge. Not sure the name of it, but they’ve changed what was a normal roundabout with traffic issues at peak hours into a nightmare at all times. They took a dutch roundabout, and tried to make it fit into a 6 way junction with limited space, so instead of segregated lanes going around the outside of the roundabout etc, there is partial seg. on some of the arms of the roundabout, on some approaches there are painted lines on some there is nothing. It is not significantly slower for ALL road users (pedestrians included, they used to cross when clear, now expected to wait for greens – takes much longer) and there is now so much more vehicle traffic bunching up on the approach roads that the safety issue for cyclists has spread further. Mark, most of what you have written in the first paragraph is completely untrue. London commute lengths are no longer than the Netherlands, London roads are not really narrower ( or too narrow), a large proportion of London driven journeys could be cycled. These are just excuses. Not sure what you mean by ”how busy it is”. I agree that a joined up approach is needed, and that the Queen’s Circus Roundabout is a disaster. Not ‘Dutch’ at all. Continue criticising the terribly thought out schemes. Do not accept things just because they are given. To find out best practice, go on a study tour with David Hembrow. By the way, some people do cycle 15-20 miles to work in the Netherlands ( although obviously in the minority), and it is a far better and faster experience than in London.